The first thing anyone sees when they arrive at your home is your front door. 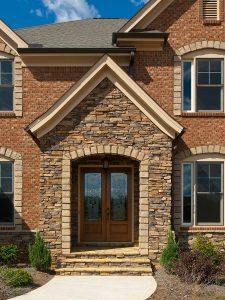 Your front door says a lot about you and your home, so it’s important that it reflects the kind of welcoming aesthetic you desire. Custom prefinished door milling can help you achieve that perfect style while adding value and sophistication to your home. Milling is the process of carving designs into wood using precision machines. This enables you to create unique designs for your doors that will make them stand out and add a personalized touch to your home’s exterior and interior. First, you’ll work with your chosen milling company to create the design you want. Then, a team of experienced professionals will make your dream door a reality. Once the door is milled it will be finished with an appropriate paint or stain, so that by the time it arrives on your doorstep, it’s ready to install. A door is a portal to a new world. Your home’s door welcomes you into your own private world, your kitchen door takes you on a culinary journey, and your bedroom door ushers you into dreamland. Whether you want to recreate the door of your childhood home or create something entirely unique, a custom door milling service can help you achieve the look you want. The best milling companies can recreate most designs if you have samples or adequate information. They may also have premade designs for you to choose from if you don’t have your own design in mind. Many milling services also work with lumber yards to secure the perfect choice of wood for your dream door. With all these options available, the possibilities are only limited by your imagination. The door you choose speaks volumes, so you deserve the door of your dreams. Open the door to the possibilities offered by custom prefinished door milling.